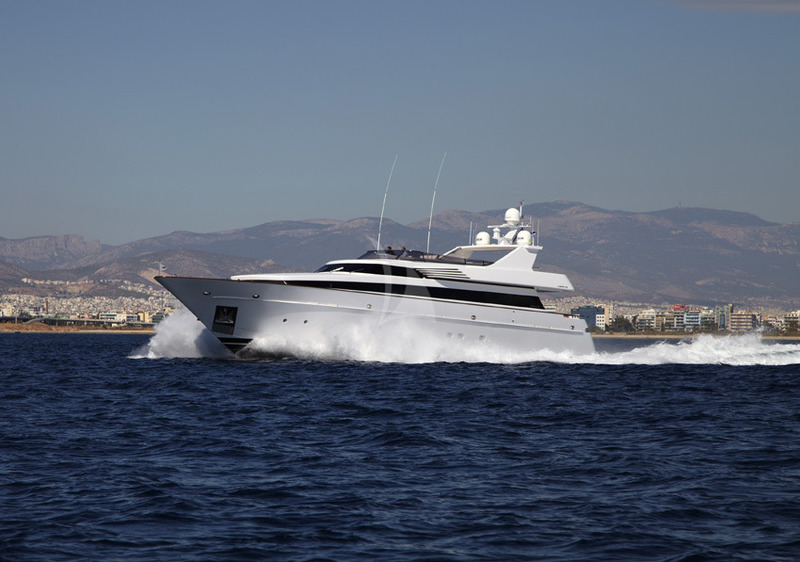 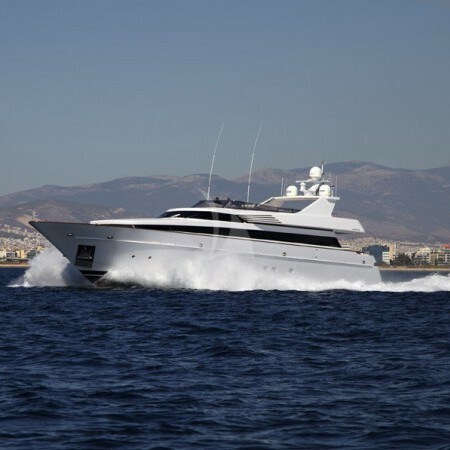 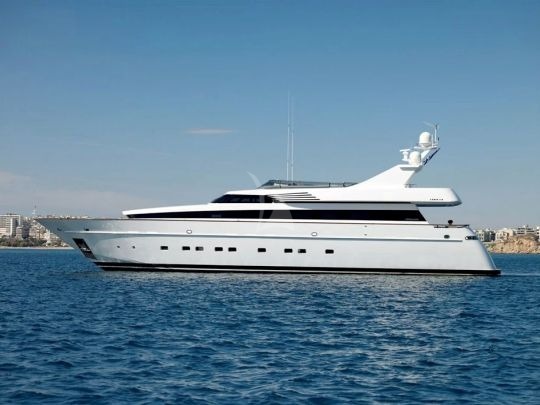 Feligo V is a 110.93ft /33.81m Akhir 34S crewed motor yacht, built by Cantieri di Pisa in 2008, who is also responsible for this luxury yacht's sophisticated exterior design and engineering. 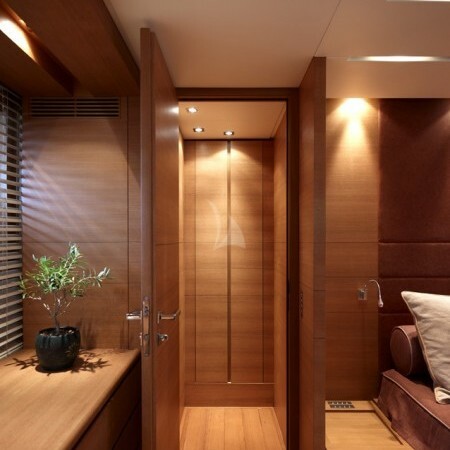 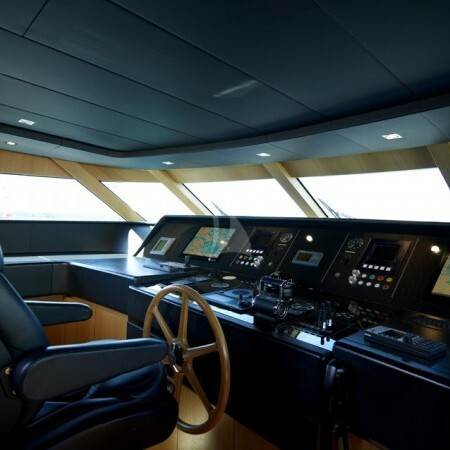 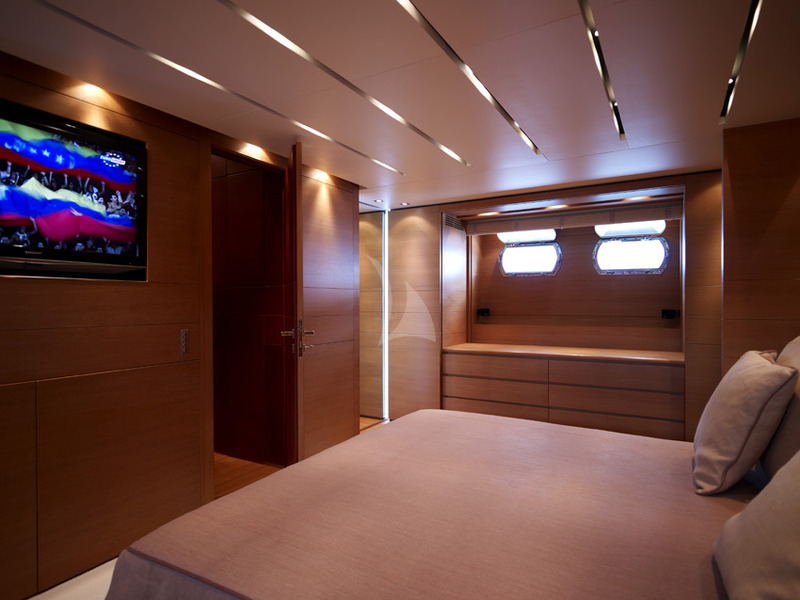 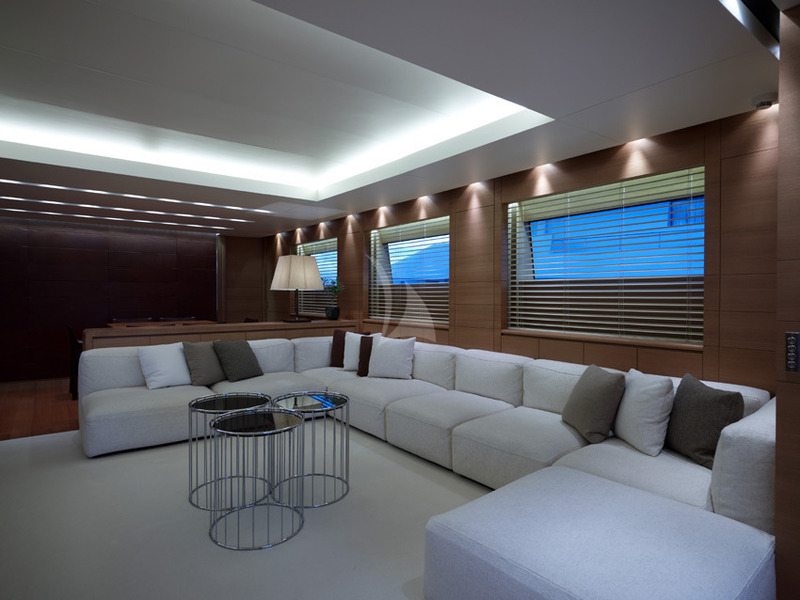 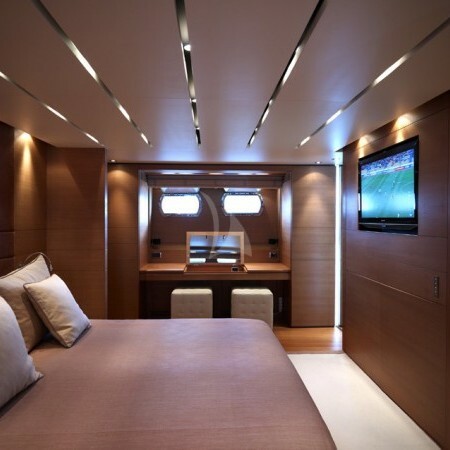 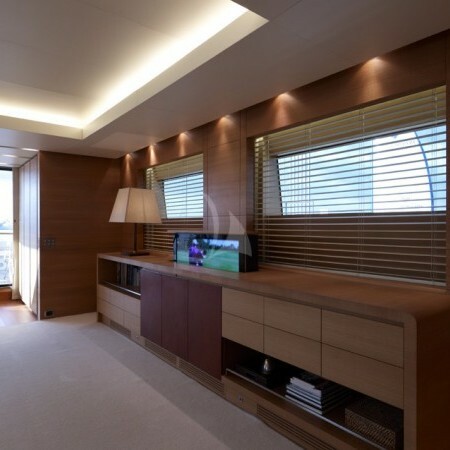 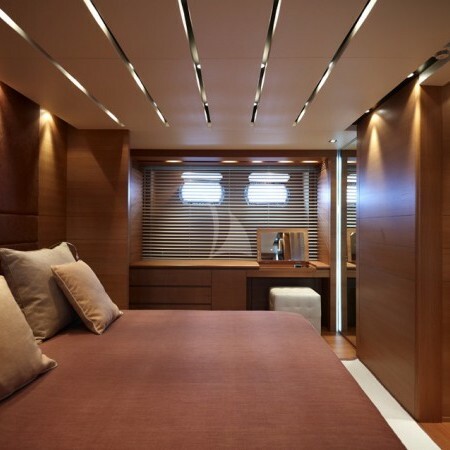 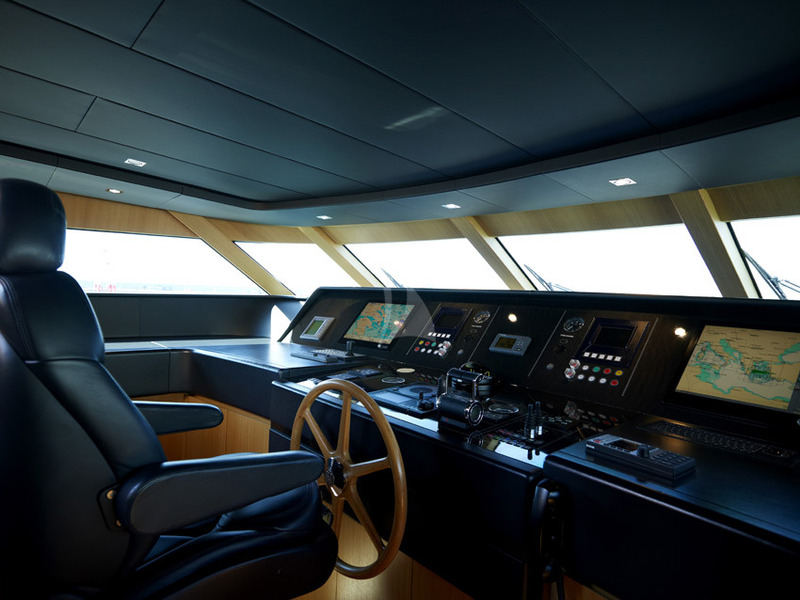 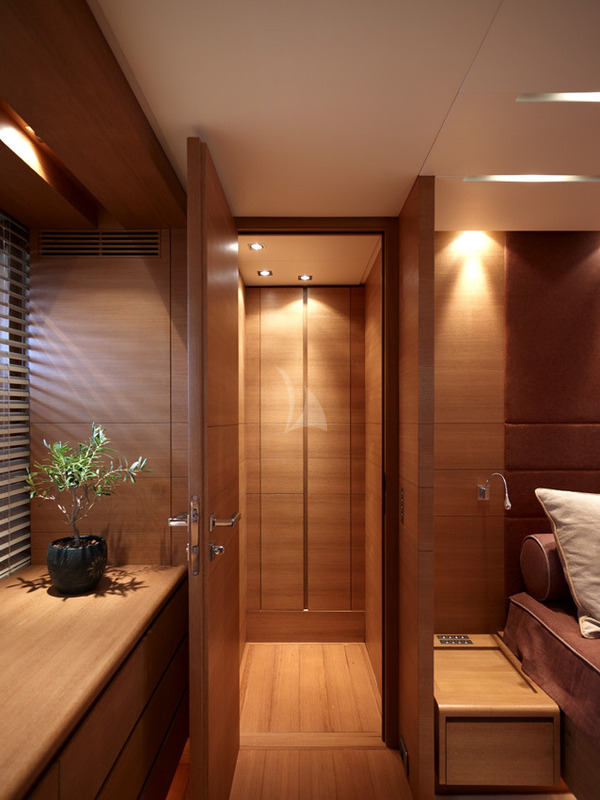 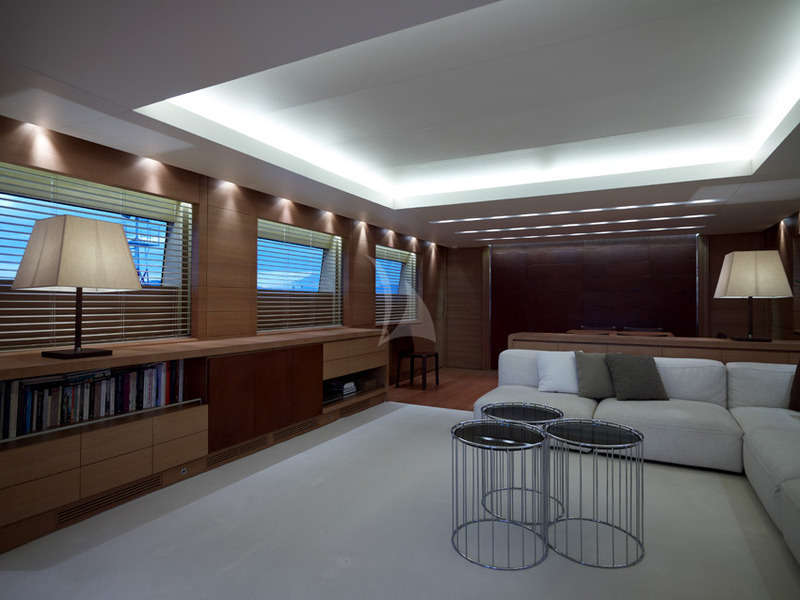 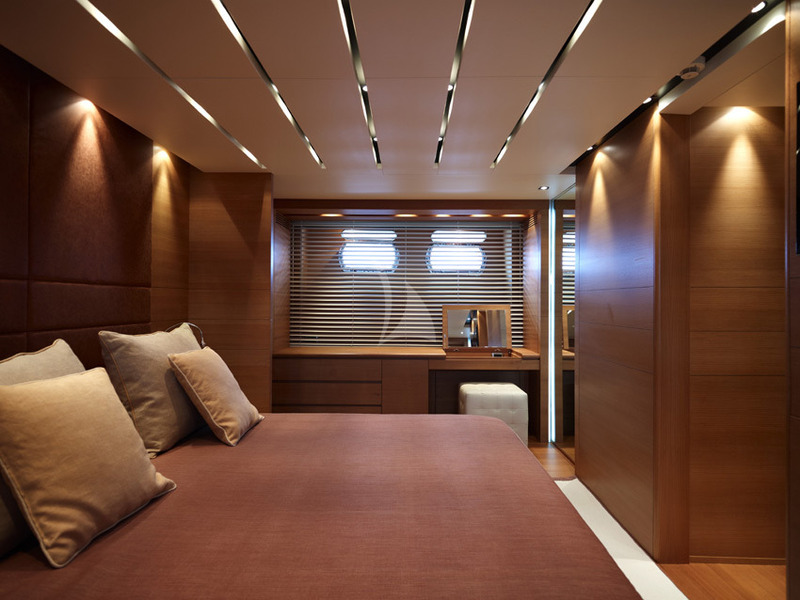 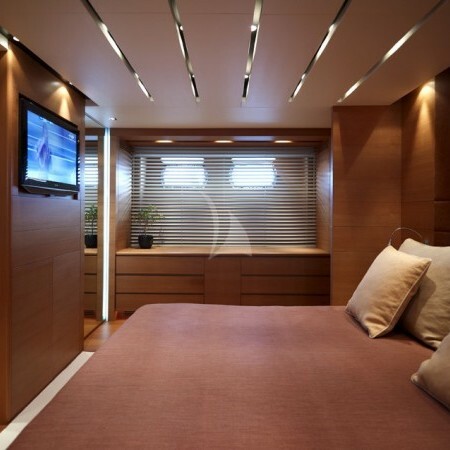 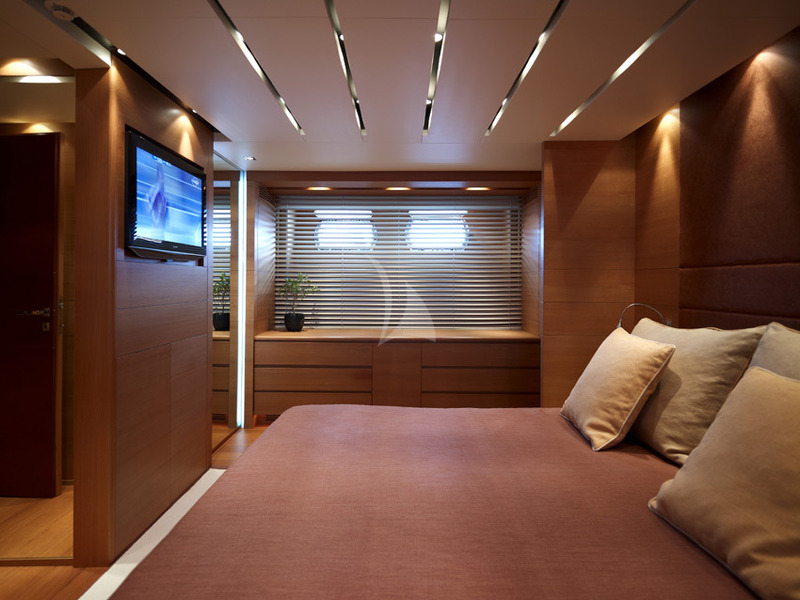 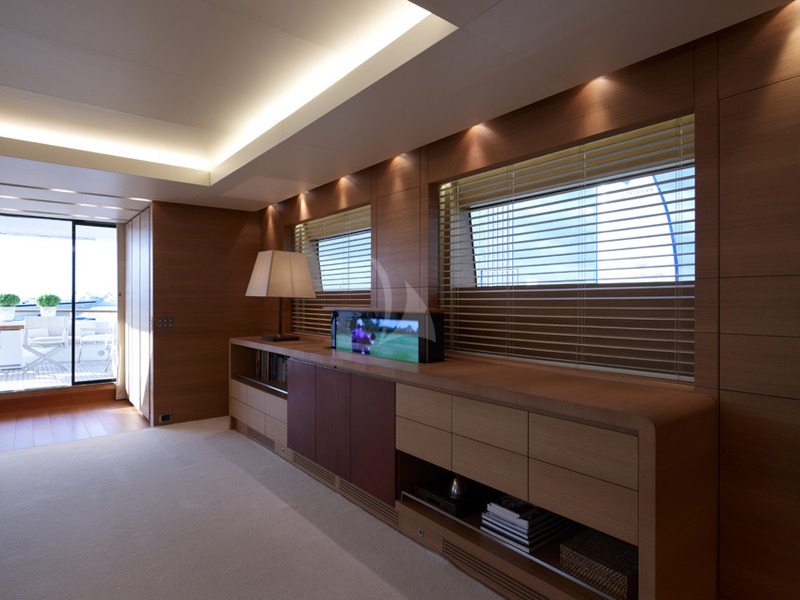 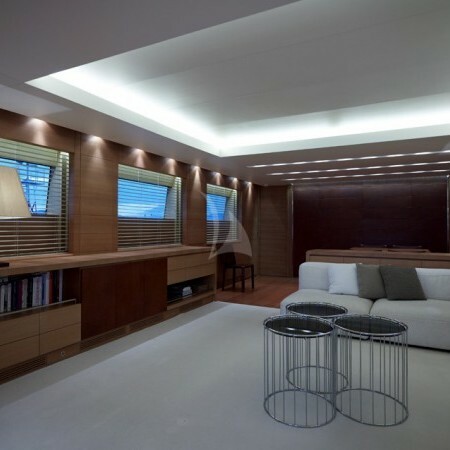 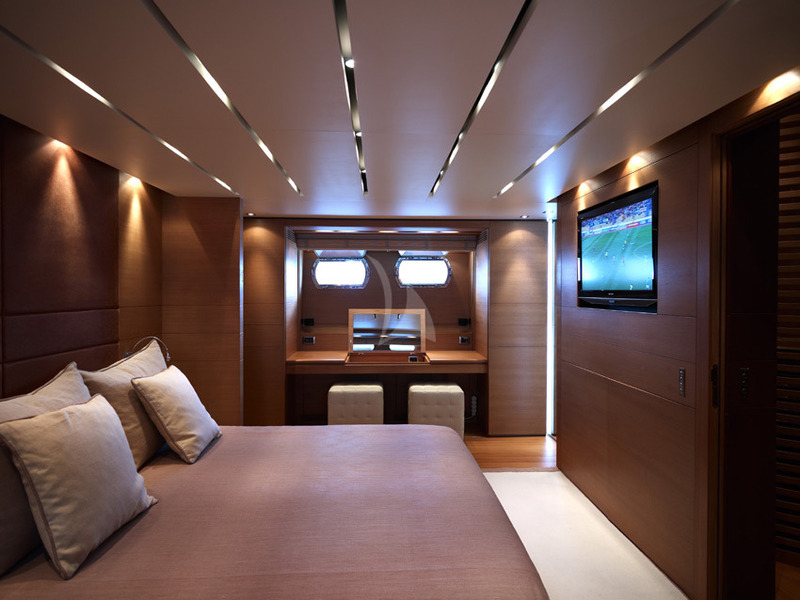 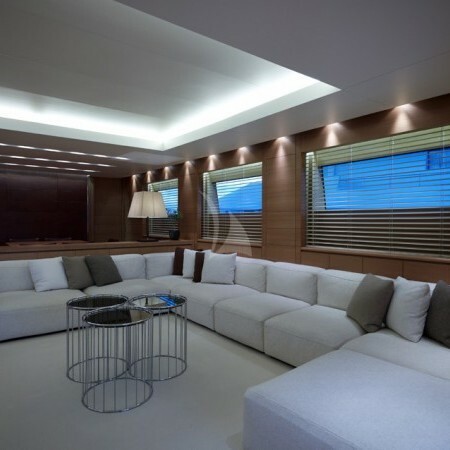 The yacht's interior has been designed by Francesco Paszkowski. 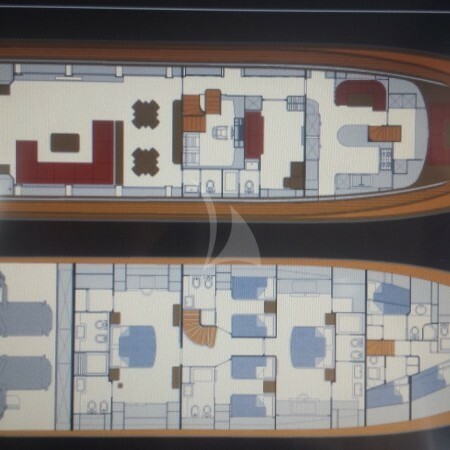 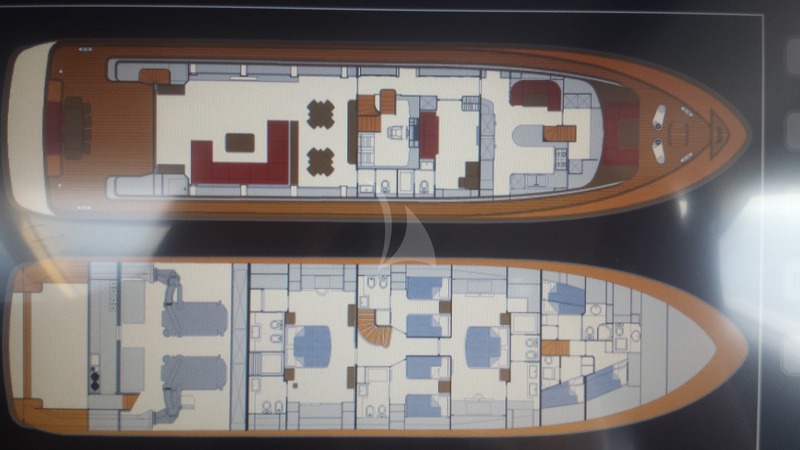 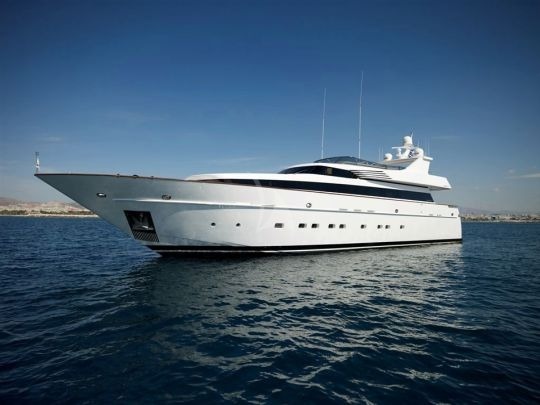 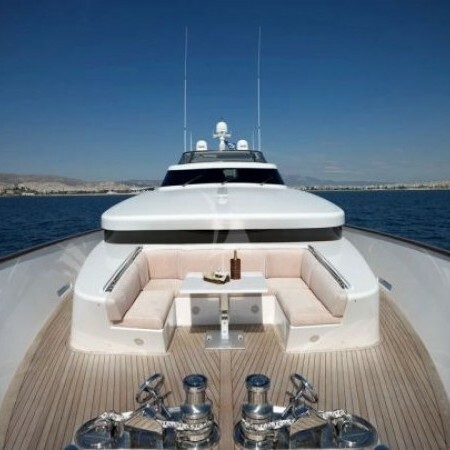 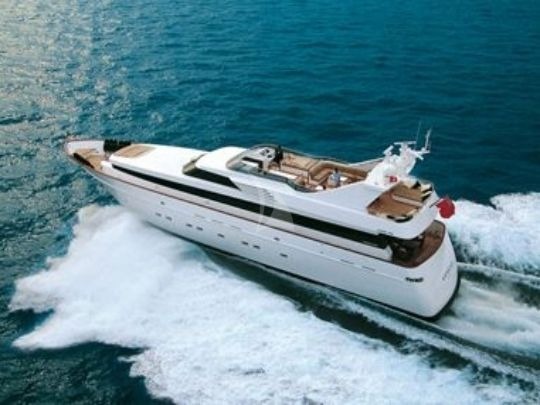 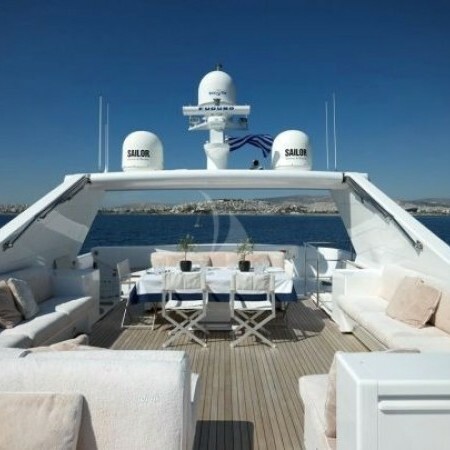 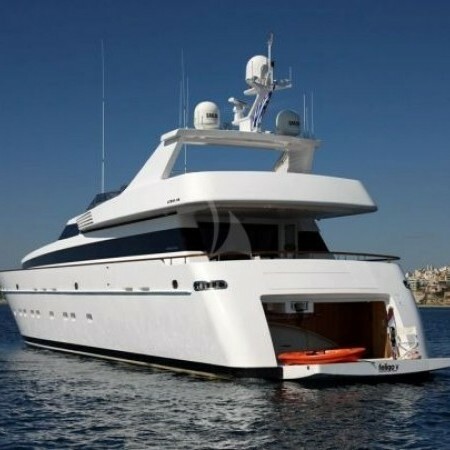 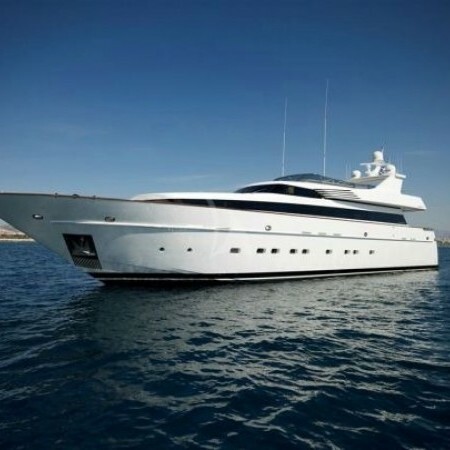 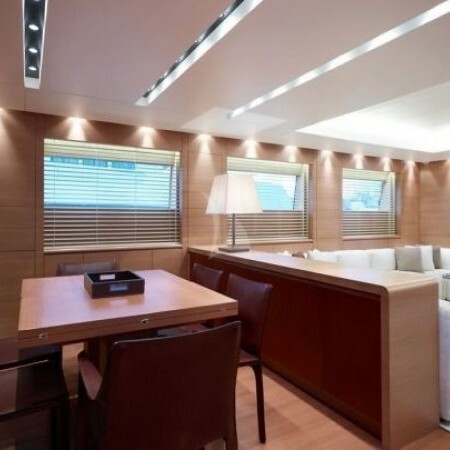 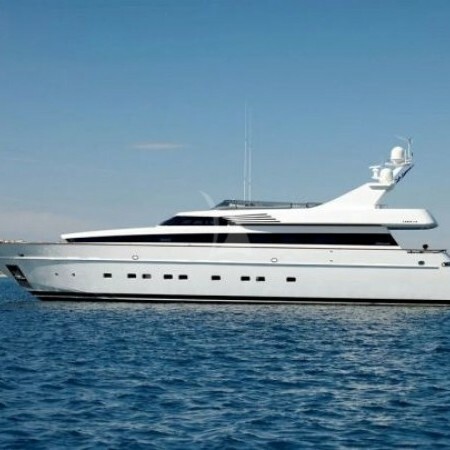 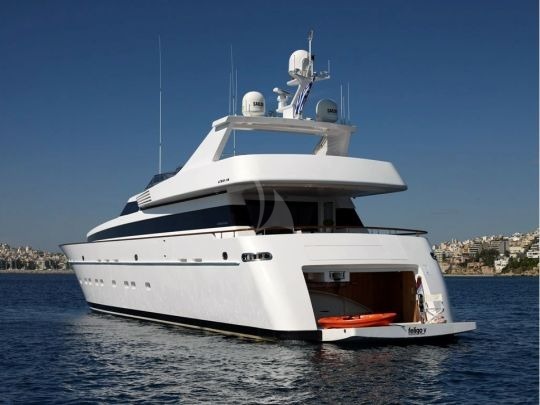 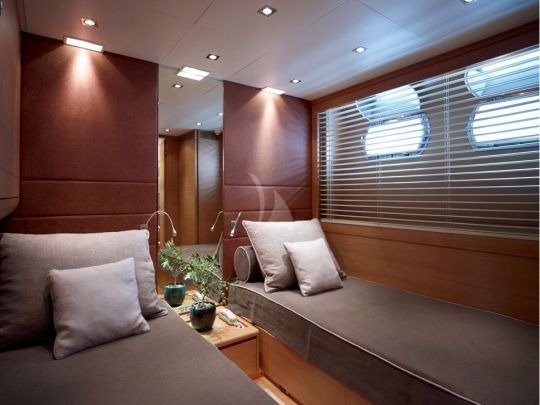 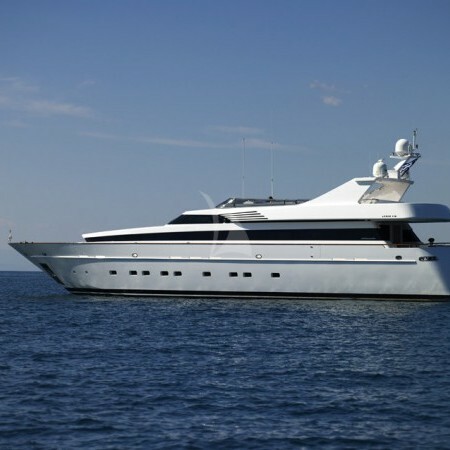 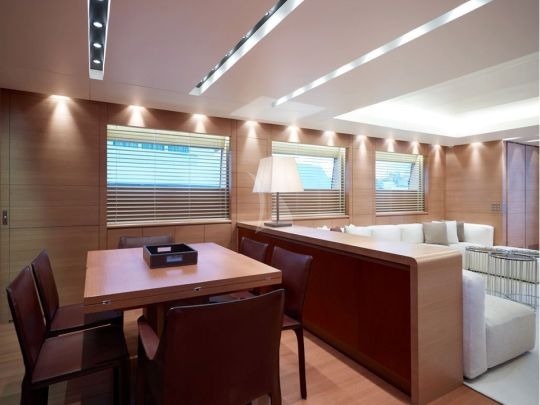 Motor yacht Feligo V has a very fresh and neutral interior with light woods and crisp white furnishings, the expansive salon boasts a large sofa set on plush white carpet and a concealed full equipped bar in the main saloon allows guests to enjoy drinks in privacy if requested. 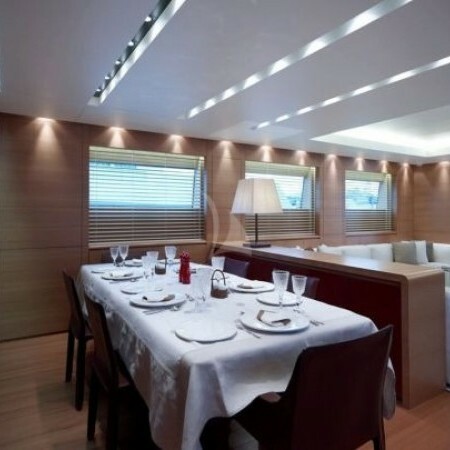 She offers a formal dining space that is clean with warm wood tones. 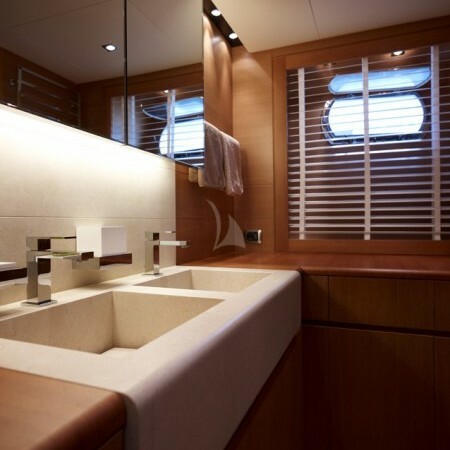 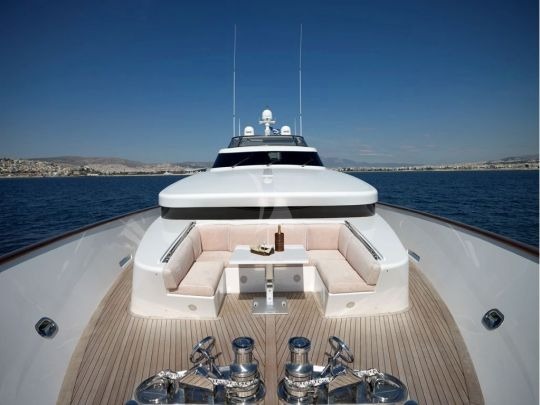 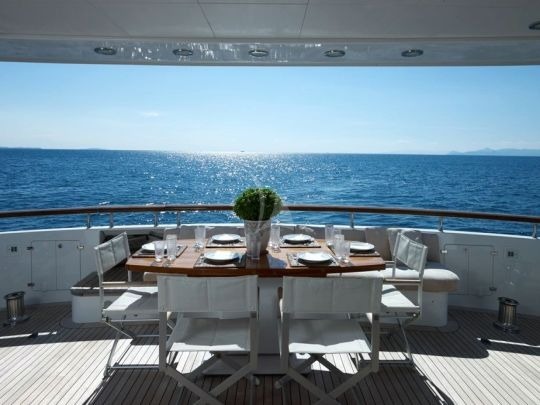 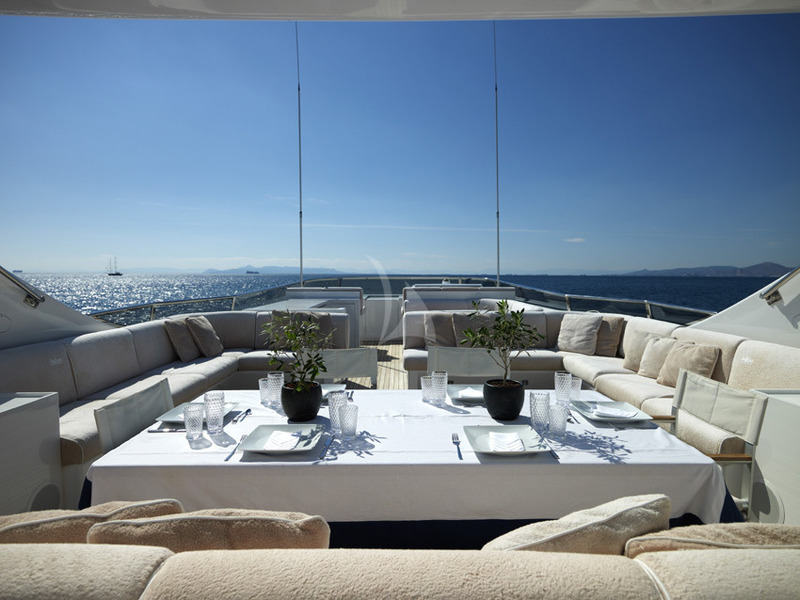 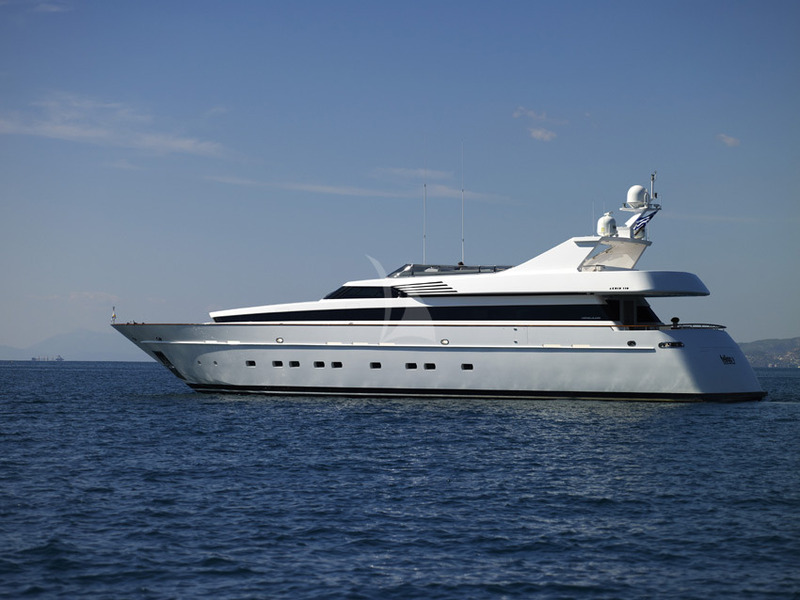 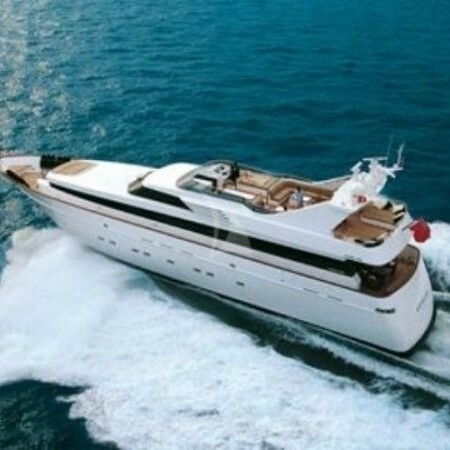 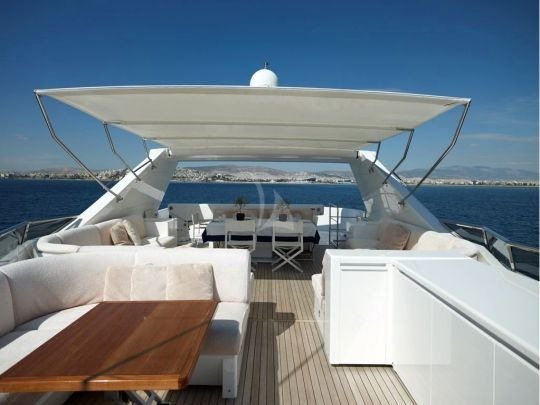 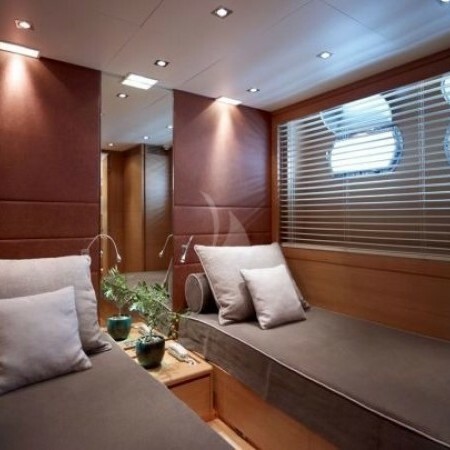 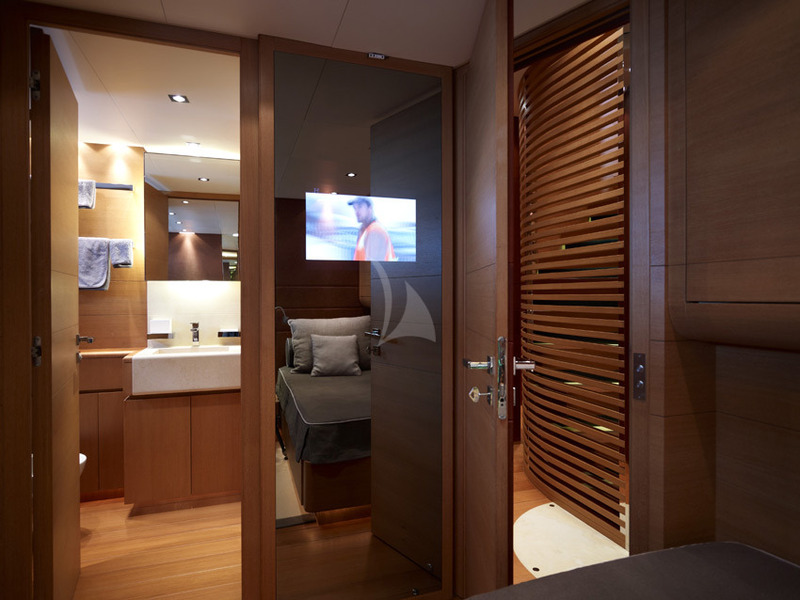 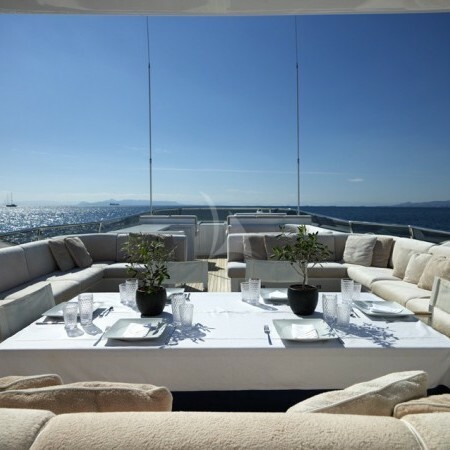 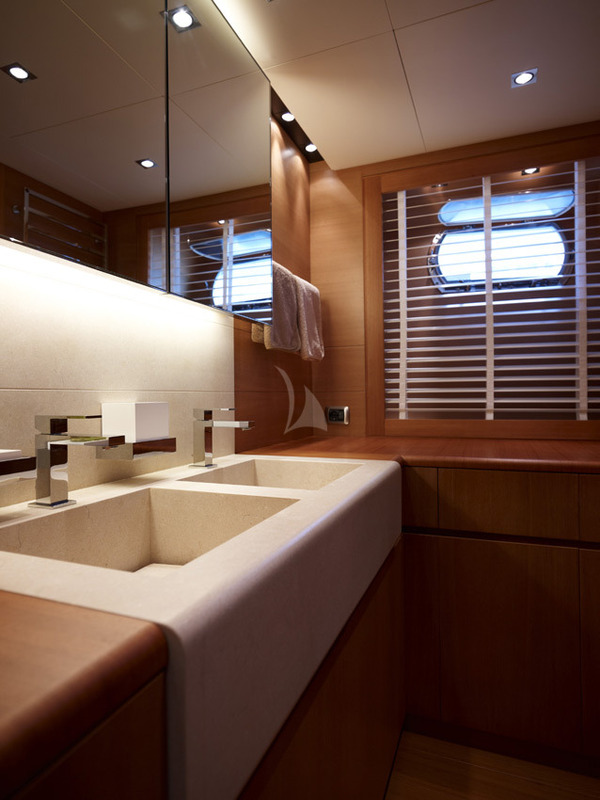 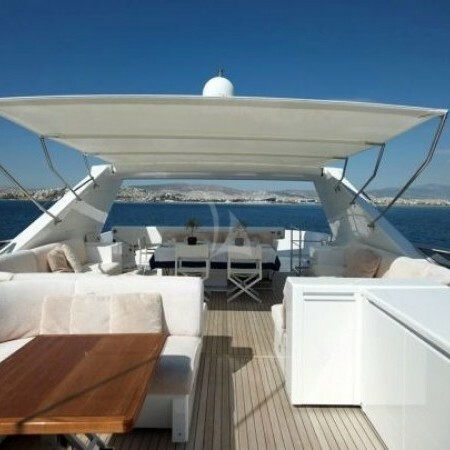 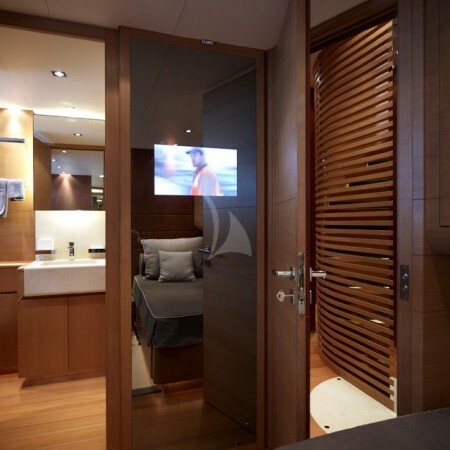 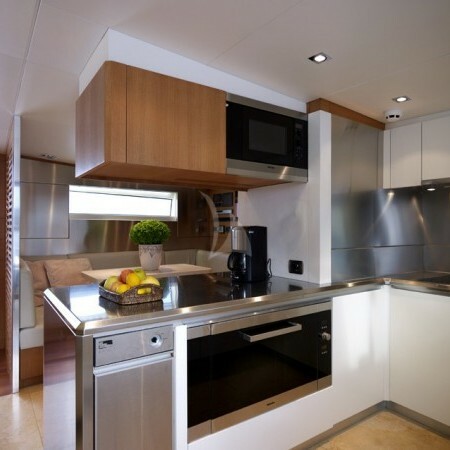 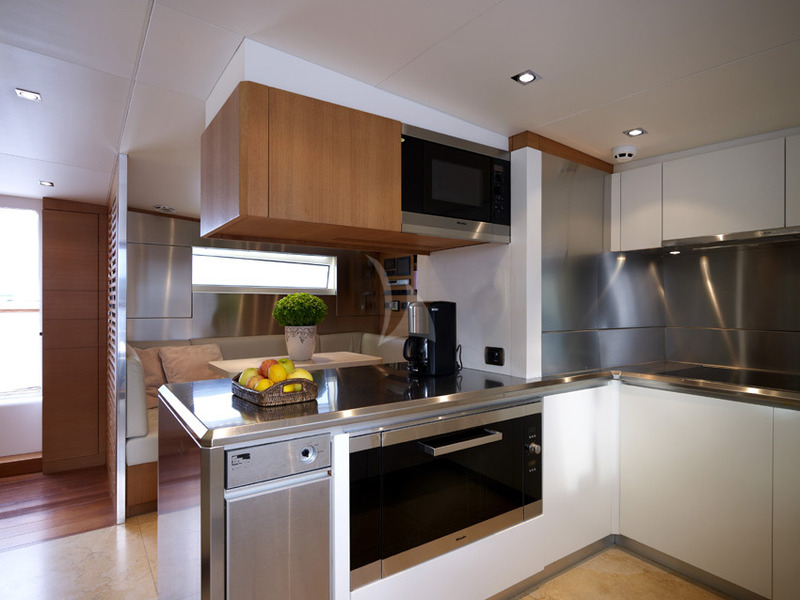 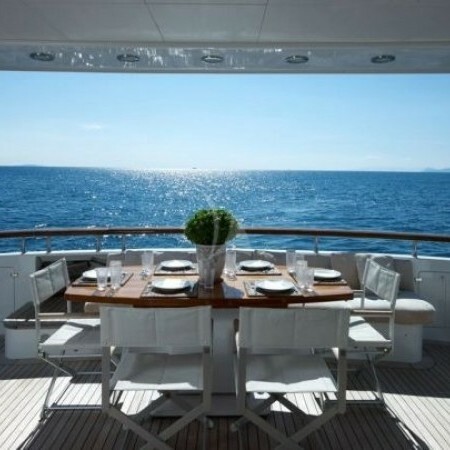 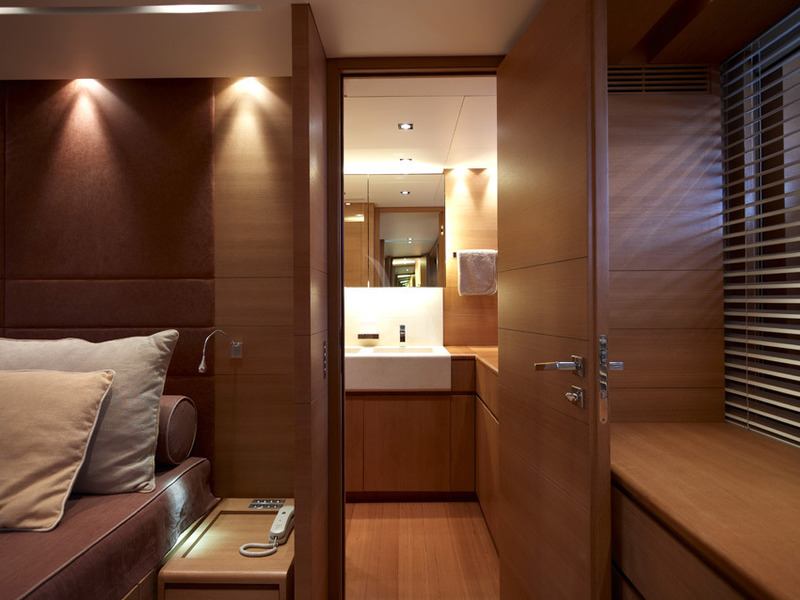 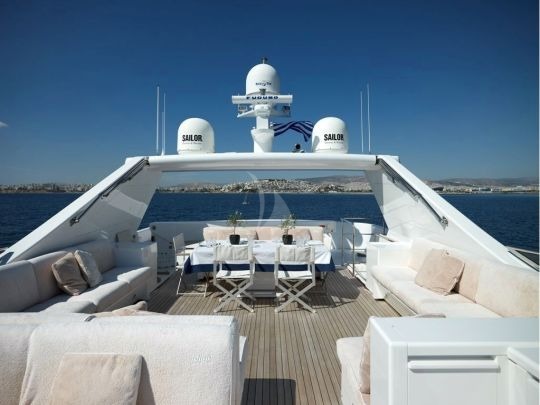 The yacht offers fantastic use of natural light creating a very open and airy feel throughout. 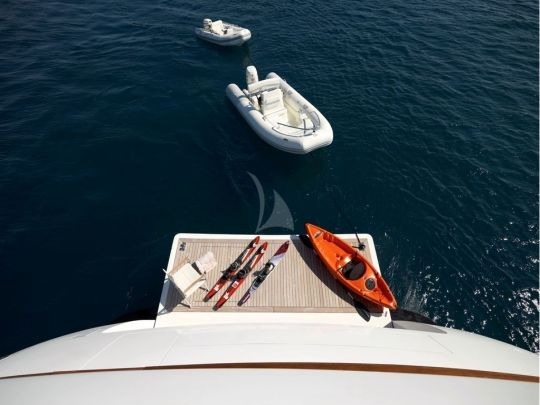 Tenders + toys: 1 x 5,3m Zodiac tender with 90hp outboard engine. 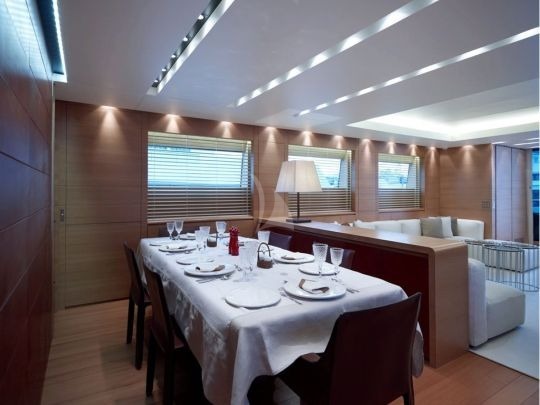 1 x 3,4m Zodiac tender with 25hp outboard engine. 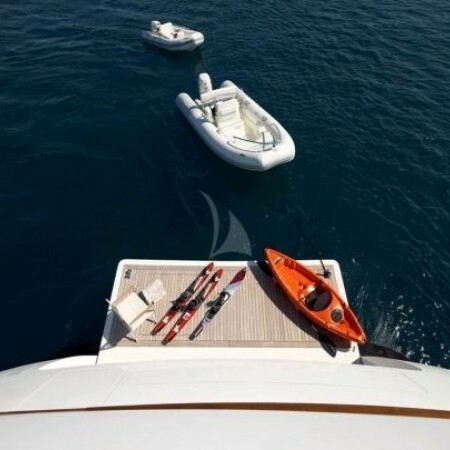 Water skis for adults and children. 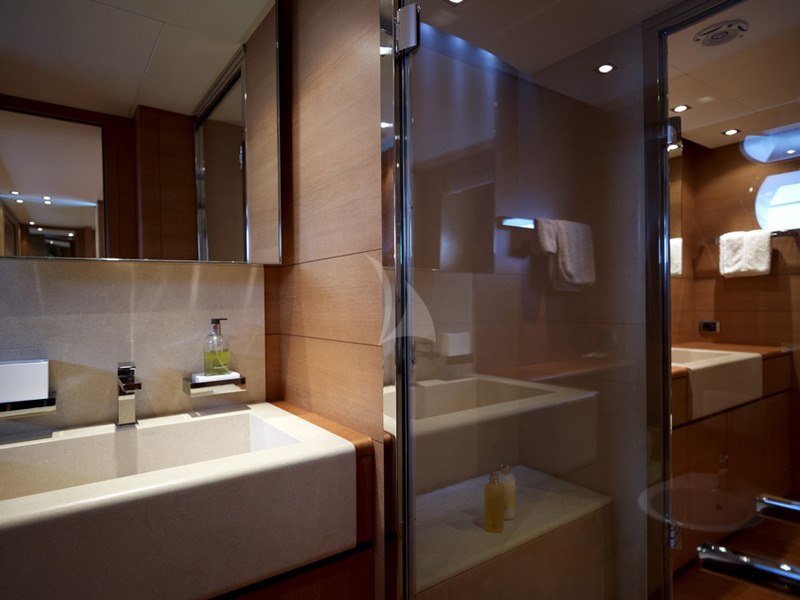 1 x Tube for 3 persons.